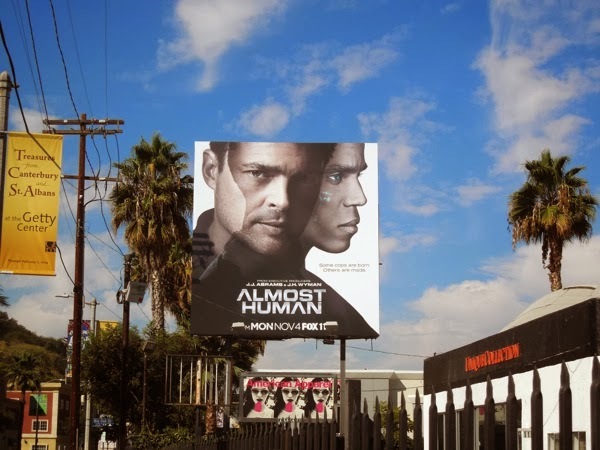 Almost Human sounds like perfect title this close to Halloween, but this new series isn't about nightmarish ghosts and ghouls, it's set in the far more sci-fi world of robots and advanced technology. 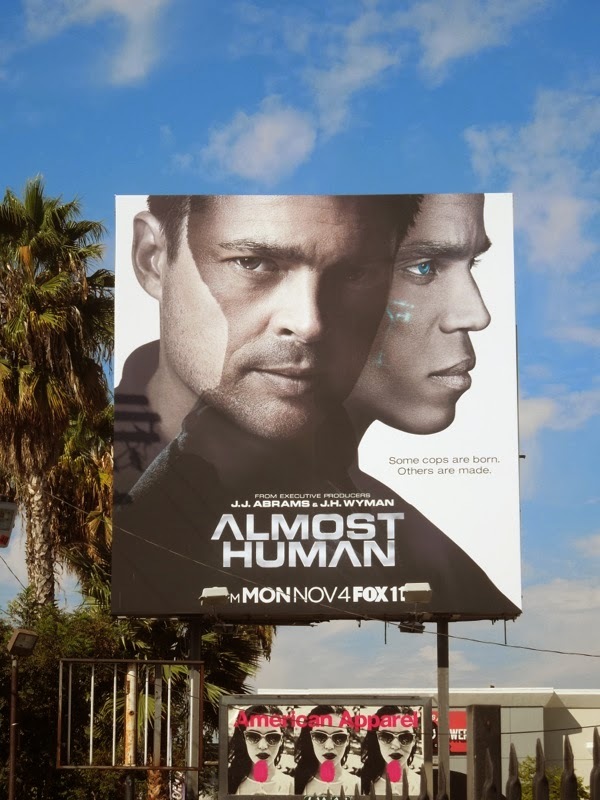 Set in the year 2048, Karl Urban stars as 'Detective John Kennex', a cop and survivor of one of the most deadly attacks against the police department. After being in a coma he wakes to discover his leg missing and replaced by a synthetic body part, and his partner dead. 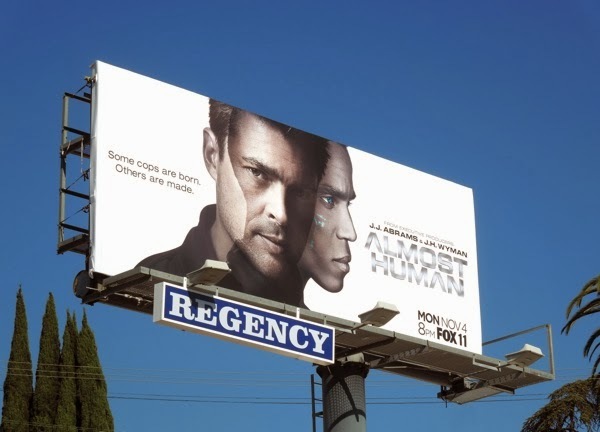 In the future every cop must now partner with a robot and when Kennex returns to work he terminates the MX-43 robot assigned to him and instead finds a new partner in the form of a discontinued, oddly emotional android model named 'Dorian', played by Michael Ealy. Now that Kennex is part machine with his synthetic limb and Dorian is part human with his emotions, they make the perfect crime-fighting partners of the near future. Karl Urban recently played the young 'Dr. Leonard "Bones" McCoy' in the rebooted Star Trek film franchise and 'Judge Dredd' in the 2012 movie remake, plus Michael Ealy starred in the short-lived FlashForward TV show and the movie Underworld: Awakening, so they are both no stranger to the science fiction and fantasy genre. 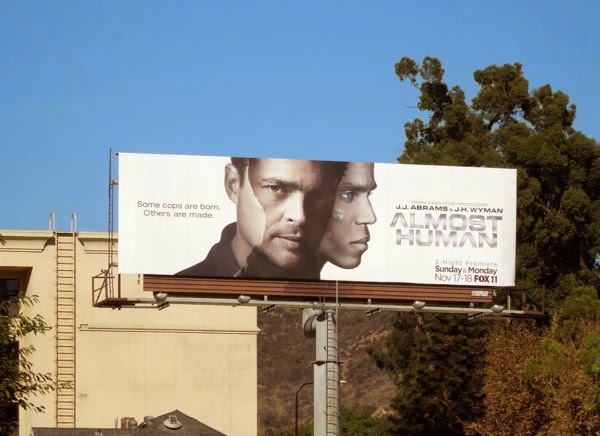 These billboards for the new Fox series, hopefully a suitable replacement for the geektastic Fringe, were spotted along Sunset Boulevard on October 16, plus along Ventura Boulevard in Studio City on October 22, 2013. 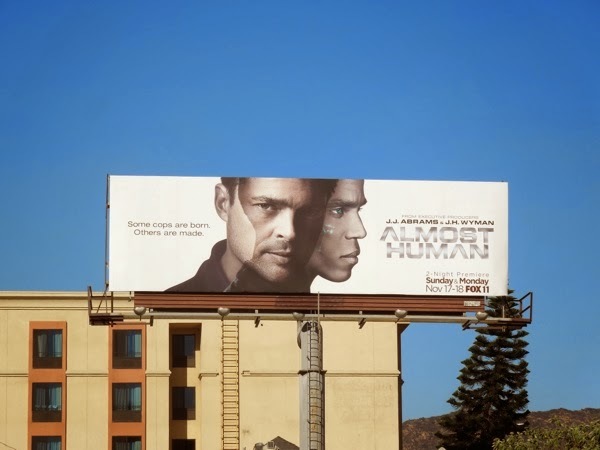 The overlapping imagery of the cop partners in the ad creative isn't anything new for the sci-fi genre, but it does help convey the themes of the show and the tagline 'Some cops are born, others are made' is a pretty clever play on words too. 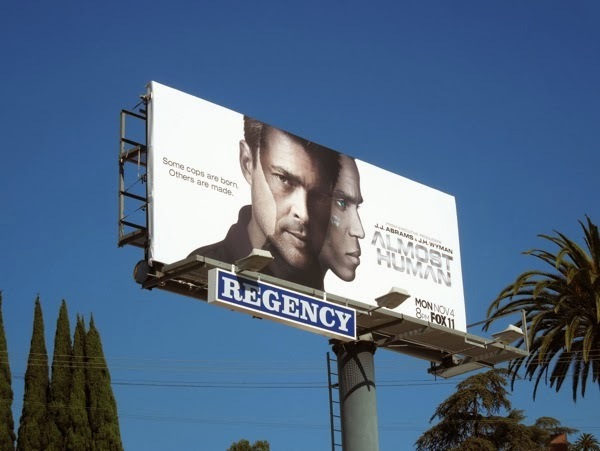 Originally planned to air on November 4, the series debut has now been pushed back two weeks to try and capitalise on the potential Sunday football fans for a two-night premiere starting November 17, 2013. 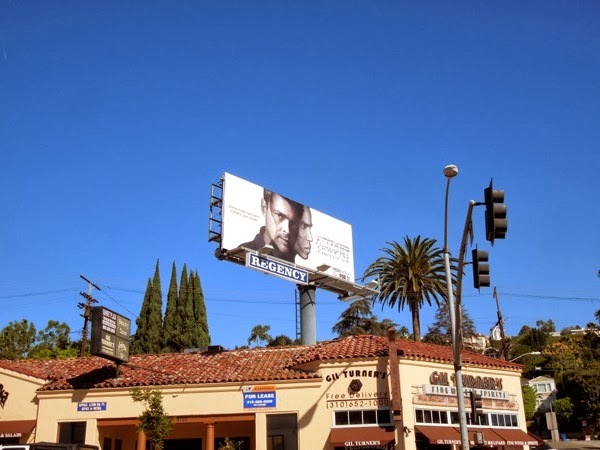 UPDATED: Here's a larger landscape ad for the new TV show spotted along Highland Avenue at Franlkin Avenue on November 14, 2013.